* (0:28) Andy Warhol gets trolled by Dennis Hopper through Strasbergian emotional memory. 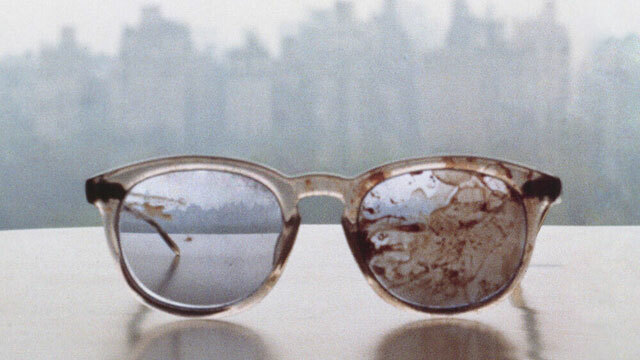 * (4:30) Dropped glasses become art, perhaps because of Yoko Ono's famous picture? * (5:41) Chad has an idea to pitch. * (0:24) Dan will record, anyway. The Pimp's Prayer (NSFW). Brodeur can't cry. Tyromancy, the cheese magic. * (6:39) The lowest form of horror. The 1979 movie, Zombie. The silent film, Un Chien Andalou. Hobo with a Shotgun. * (17:32) A time jump in Brodeur's RPG. * (0:27) The Facebook post explaining our site difficulties. * (1:32) The Inkwell Ideas' Kickstarter for Hexographer 2. * (3:14) The cognitive dissonance of many gamers regarding fairness and success. * (0:28) Fear the Boot's crossover with Dead Games Society. Gaming resources that are not sourcebooks. * (3:43) A sad farewell and all our love to Mark. * (4:39) Everyone begs for new chairs. Brodeur plans to steal from Good Will. * (6:10) Game-relevant table talk. Meta-gaming and immersion.